In the past 10 years, medical malpractice litigations have become a serious public health and social issues in China. This study aims to evaluate the medical malpractice litigations in Beijing. A retrospective study was conducted using the database from the Key Laboratory of Evidence Science (KLES) at China University of Political Science and Law (CUPL) to demonstrate the extent and characteristics of the alleged medical malpractice cases and the conclusions of forensic evaluation from 2002 to 2011 in Beijing. A total of 1515 alleged medical malpractice cases were investigated by forensic medical experts at KLES-CUPL during the study period. Of the 1515 cases, 45.2% were male patients and 54.8% were female patients. The age of the patients ranged from newborn to 90 years, with average age of 44 years. The alleged medical malpractice cases involved 11.3% of newborns. From 2002 to 2006, the average number of medical malpractice litigations was 123 cases per year, while from 2007 to 2011, the average number of medical malpractice litigations was 180 per year, a 46% increase. Of the 1515 cases, 588 (38.8%) litigations were due to the patients' death. Clinical departments involved in claims most often were obstetrics (18.9%), followed by orthopedics (15.1%) and general surgery (11.5%). Medical error was found in 945 (62.4%) cases. Of the 945 confirmed medical malpractice cases, the top medical misadventures were diagnostic errors (36.5%), improper performance of procedures (36.4%), and medication error (12.6%). Although tertiary hospitals were more likely to be sued than the secondary and primary hospitals (63.6% vs. 36.4%), there was no significant difference between tertiary and secondary hospitals in the percentage of confirmed malpractice cases (62.3% vs. 59.4%). The primary hospitals had the highest confirmed malpractice cases (73.2%). Since the beginning of political, cultural, social, and economic reforms in 1977, China has undergone profound changes in all its areas of endeavor. There has been a growing demand for health-care reforms in China. In 2009, the Chinese government announced its healthcare reform to make health care more accessible and affordable. Although more and more Chinese people have accessed to health care, the number of alleged medical malpractice cases have also increased significantly in China in the past decade., Medical malpractice litigations have become a serious public health and social issue in China. Very few studies have been done, especially from the perspective of the forensic medicine to demonstrate the extent and characteristics of the alleged medical malpractice cases. This study aims to evaluate the medical malpractice litigations in Beijing and to examine the role of forensic experts in the investigation of medical malpractice cases. The Key Laboratory of Evidence Science (KLES) at China University of Political Science and Law (CULP) is responsible for investigation of almost all the alleged medical malpractice cases in Beijing. This study was a retrospective review of all the alleged medical malpractice cases over a 9-year period from January 2002 to December 2011 in Beijing, China. Each file of the cases was reviewed by forensic experts, and the datasheets were electronically entered into a database. The cases were analyzed as to (i) general demographic profiles of the patients; (ii) reasons of alleged medical malpractice litigations; (iii) distribution of alleged medical malpractice per type of hospitals/medical facilities; (iv) type of clinical specialties in the claimed cases; (v) characteristics of medical errors or medical misadventures per forensic investigation and evaluation. For the purpose of this study, the classification of hospitals in China is based on the criteria of the Ministry of Health of the People's Republic of China. All hospitals in China are organized according to a three-tier system that recognizes a hospital's ability to provide medical care, medical education, and conduct medical research. Based on this, hospitals are designated as primary, secondary, or tertiary institutions. A primary hospital is typically township hospital or community health-care clinic which provides basic preventive, minimal health care, maternal and child care, rehabilitation and health education to local inhabitants by general practitioners, community nurses, and public health workers. A secondary hospital tends to be affiliated with a medium size city, county, or district and provides comprehensive medical care, medical education, and medical research for the region. A tertiary hospital is defined as cross-regional, providing comprehensive and specialized medical care with a high level of medical education and research functions. The study revealed that a total of 1515 alleged medical malpractice cases were investigated by forensic medical experts at KLES-CUPL during 2002–2011 in Beijing. Of the 1515 cases, 684 (45.2%) were male patients and 831 (54.8) were female patients (male to female ratio = 0.8:1.0). The age of the patients ranged from newborn to 95 years, with an average age of 44 years [Table 1]. More than 50% (n = 858) of the alleged medical malpractice cases involved in the age group between 21 and 60 years, with 11.3% of newborns (n = 171). 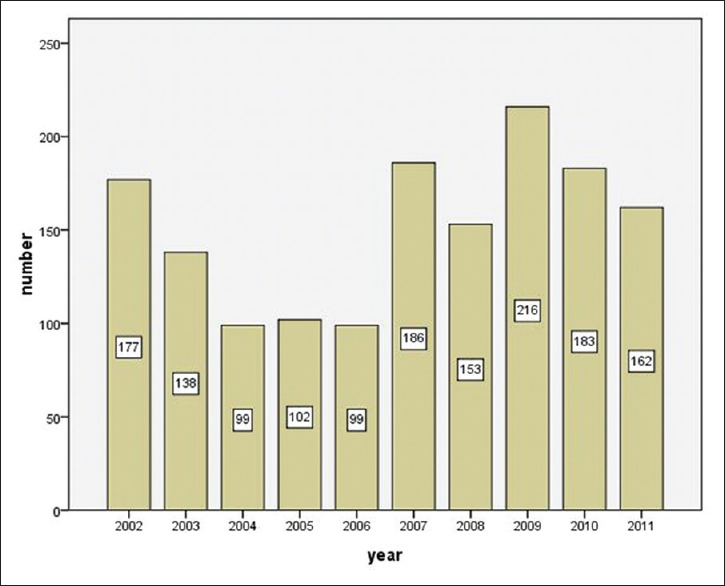 [Figure 1] showed the trend of alleged medical malpractice cases investigated by KLES-CUPL during 2002–2011 in Beijing. From 2002 to 2006, the average number of medical malpractice litigation was 123 cases per year, while from 2007 to 2011, the average number of medical malpractice litigation was 180 per year, a 46% increase. Of the 1515 cases, 588 (38.8%) litigations were due to the patients' death. Clinical departments involved in claims most often were obstetrics (18.9%), followed by orthopedics (15.1%), general surgery (11.5%), and gynecology (8.2%) [Table 2]. After a thorough evaluation of patients' medical records, autopsy findings and further investigation of patients' history, and the claimed documents, the KLES-CUPL Forensic Medical Appraisal Committee concluded that medical error or medical malpractice was found in 945 (62.4%), while no medical error was found in 546 cases (36.0%). In addition, medical malpractice could not be determined in 24 cases (1.6%) due to lack of enough evidence and documents. The KLES-CUPL Forensic Medical Appraisal Committee provided the court with their official reports and expert opinions as to whether medical malpractice occurred. Of the 945 confirmed medical malpractice cases, the top three medical misadventures/errors were diagnostic errors (36.5%), improper performance of procedures (36.4%), and medication errors (12.6%) [Table 3]. The diagnostic errors included missed or delayed diagnoses or misdiagnoses due to misinterpretation of testing results or insufficient diagnostic procedures. Our study showed that the majority (>70%) of diagnostic errors are knowledge-based human mistakes with misinterpretation of testing results. 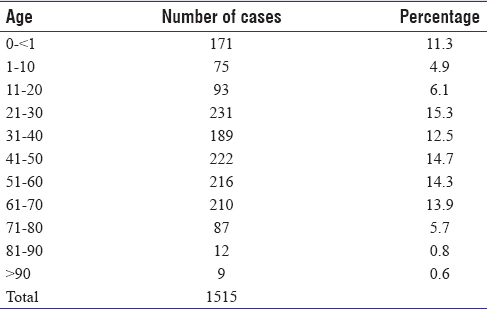 [Table 4] shows the distribution of claimed cases and confirmed medical malpractice cases by the types of hospitals. Although tertiary hospitals were more likely to be sued than the secondary and primary hospitals (the percentage of claimed cases was 63.6% for tertiary hospitals vs. 28.3% for secondary hospitals vs. 8.1% for primary hospitals), there was no significant difference between tertiary and secondary hospitals in the percentage of confirmed malpractice cases (62.3% vs. 59.4%). However, medical malpractice/errors were found in 90 of 123 (73.2%) claimed cases from the primary hospitals. As the most populous country in the world with its dense population of over 1.3 billion people, China undertakes the most arduous medical tasks: in 2011, the national total number of outpatients is 6.12 billion, while the total number of inpatients is 152.98 million., Meanwhile, China's health resources are relatively insufficient. Although China has greatly improved its health and medical system in the past decade, the contradiction between arduous medical tasks and insufficient health resources has not been fundamentally resolved. The disputes between patients and doctors have increasingly intensified, reaching an unprecedented level.,,, Our study showed that there was a 46% increase of medical malpractice litigations in Beijing during the past 10 years from the average number of 123 medical malpractice litigation cases per year between 2002 and 2006 to the average number of 180 cases between 2007 and 2011. Rising trends of medical malpractice litigation cases have been seen around the world.,,,, The rising trends of medical malpractice litigations in China can be attributed to the following factors: (1) the contradiction between arduous medical tasks and insufficient health resources makes people feel that they have suffered from low-quality medical treatment; (2) the growth of mistrust in physician damages doctor–patient relationship; (3) the increase in public awareness about medical malpractice created by the media and the improving of patient rights have attracted more and more attention on the legal issues in medical practice;, (4) the shift from care that is almost cost-free 20 years ago to more and more costly nowadays is likely to bring about a change in expectations. However, when payments become increasingly burdensome, patients' expectations grow; and (5) the greedy and intent on obtaining inappropriately large sums of money for the honest mistakes of caring medical personals by plaintiffs and their lawyers. A recent study using physician-level malpractice claims obtained from a large professional liability insurer in the United States characterized three aspects of malpractice risk among physicians in 25 specialties. American physicians in obstetrics and general surgery are regarded as high-risk specialties and are substantially more likely to face a claim than pediatricians and pathologists.,,, Our study showed that disciplines such as obstetrics, orthopedics, general surgery, and gynecology were the four leading medical specialties involved in the medical malpractice litigations, accounting for 53.7% of the total claims in Beijing. Similar results were found in Taiwan and Japan that malpractice experiences were more frequent in physicians of surgery or obstetrics and gynecology., Medical specialties that are assumed to be at higher risk for malpractice suits tend to be more procured oriented. Physicians in emergency medicine, general surgery, neurosurgery, obstetrics/gynecology, orthopedic surgery, and radiology are regarded as high-risk specialties in the United States. In China, obstetricians/gynecologists are medical specialists who provide care for women and newborns and conditions related to the female reproductive system. Chinese obstetricians/gynecologists attend almost all the childbirths and perform clinically complex obstetric procedures. 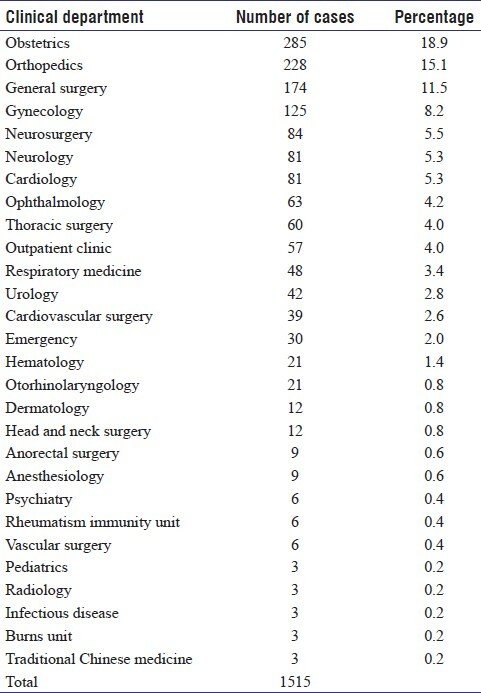 Obstetricians/gynecologists are the highest-risk medical specialists and likely blamed or sued if any adverse outcome to the newborns or the mothers occurs during treatment in China: However, the data showed in [Table 2] were based on the number and percentage of claimed malpractice cases involved in different clinical departments. To evaluate malpractice claim risk lying in different clinical departments, a further study is needed to compare the ratio of the number of total patients and malpractice claimed cases of different clinical departments in each hospital during the same period. Misdiagnosis and missed/delayed diagnoses account for a large percentage of medical malpractice claims. When a doctor misdiagnoses or fails to diagnose a serious disease, it can lead to incorrect treatment, delayed treatment, or no treatment at all. The patient might miss treatment opportunities that could have prevented serious harm or even death. Our study revealed that the top three medical errors were diagnostic errors (36.5%), improper performance of procedures (36.4%), and medication errors (12.6%). Of all error types, diagnostic error is the type that patients are most concerned about, and in malpractice claims, many cases (≥30%) are classified as diagnostic errors., Our study indicated that the majority (>70%) of diagnostic errors are knowledge-based human mistakes with physicians' cognitive biases which result in misinterpretation of testing results. A great deal is known about how these faulty thinking processes lead to error, but little is known about how to prevent them. In the recent years, checklists have gained acceptance in medical settings and become tools to reduce diagnostic errors., Prevention measurements should also include physicians' continuing education program. Our study showed that tertiary hospitals were more likely to be sued than the secondary and primary hospitals; however, there was no significant difference between tertiary and secondary hospitals in the percentage of confirmed malpractice cases. The primary hospitals had the highest confirmed malpractice cases. In China, a tertiary hospital usually receives more patients than the secondary or primary hospitals. Most people tend to use tertiary hospitals rather than secondary or primary hospitals for their medical care generally due to the perception that quality of care provided in the tertiary hospital setting is much superior to that provided at the secondary and primary hospitals. One of the explanations for higher percentage of malpractice cases claimed from tertiary hospitals is due to larger numbers of tertiary hospitals with more patients' visits when compared to the secondary and primary hospitals in Beijing. In China, medical malpractice lawsuits can be tried under civil, criminal, or administrative law. The majority of the medical malpractice litigations are noncriminal, complicated civil cases, which are usually referred to forensic appraisal agency by the local court to handle the dispute between patients or patients' family and hospitals or doctors. Forensic medical experts including forensic pathologists and clinical forensic examiners play a significant role in handling of medical malpractice litigations. Upon request of the patient/patient's family or hospital/doctor, the local people's court authorize forensic medical experts to make analysis, assessment, and judgment on claimed issues such as whether there was a causal relationship between the damage claimed by the patient/patient's family during the treatment and the procedures performed by the doctor or any medical errors occurred during patient's hospitalization. The forensic appraisal agencies provide the local court with their scientific evidence and an appraisal report based on their investigation and review of medical record, as well as discussion with clinical experts in a specialized field., The court makes the decisions based on the appraisal report from the authorized forensic appraisal agency. In the medical-legal practice, the reports from the national-level forensic appraisal agencies are considered more acceptable for the court. The KLES-CUPL is one of the national-level forensic appraisal agencies. The study data from KLES-CUPL present a national trend of medical malpractice litigations in China. To the best of our knowledge, the Chinese current medical malpractice environment is little known outside China. The study and discussion on these issues were only limited among legal scholars or published in Chinese, which were not easy accessible to international clinicians or medical examiners. Our study indicates that medical malpractice litigations have become a serious public health and social issue in China. Forensic investigation of medical malpractice litigations by the forensic experts plays a significant role not only in improving of public health system but also in influencing of the judicial outcome. This project was supported by the fund for Training Programmers Foundation for the Beijing Talents (2013D002023000002), Beijing Planning Project of Philosophy and Social Science (13FXC032), and Project of Young teachers' academic innovation team by CUPL (2016CXTD05 and 2014CXTD04). Li H, Wu X, Sun T, Li L, Zhao X, Liu X, et al. Claims, liabilities, injuries and compensation payments of medical malpractice litigation cases in China from 1998 to 2011. BMC Health Serv Res 2014;14:390-9. Zhu S, Li L, Li Y. China's criminal penalty for medical malpractice: Too lenient or not? Leg Med (Tokyo) 2011;13:116-9. Li X, Huang J, Zhang H. An analysis of hospital preparedness capacity for public health emergency in four regions of China: Beijing, Shandong, Guangxi, and Hainan. BMC Public Health 2008;8:319. Ministry of Health of the People's Republic of China. Beijing: The Ministry, Ministry of Health Statistics Center [About 3 Screens]. Available from: http://www.moh.gov.cn/publicfiles/business/htmlfiles/mohwsbwstjxxzx/index.htm. [Last cited on 2013 Jul 12]. Shen X, Chen X. Legal considerations on the liability of damage compensation in medical accidents in China. J Int Bioethique 2008;19:43-58, 161. Huang J, Yan L, Zeng Y. Facing up to the threat in China. Lancet 2010;376:1823. Chinese doctors are under threat. Lancet 2010;376:657. Malherbe J. Counting the cost: The consequences of increased medical malpractice litigation in South Africa. S Afr Med J 2012;103:83-4. Al-Saeed AH. Medical liability litigation in Saudi Arabia. Saudi J Anaesth 2010;4:122-6. Wu CY, Weng HC, Chen RC. Time trends of assessments for medical dispute cases in Taiwan: A 20-year nationwide study. Intern Med J 2013;43:1023-30. Hamasaki T, Hagihara A. Physicians' explanatory behaviours and legal liability in decided medical malpractice litigation cases in Japan. BMC Med Ethics 2011;12:7. Kvizhinadze N, Gerzmava O. Peculiarities of medication safety. Georgian Med News 2013;216:56-60. Feldman EA. Why patients sue doctors: The Japanese experience. J Law Med Ethics 2009;37:792-9. Jena AB, Seabury S, Lakdawalla D, Chandra A. Malpractice risk according to physician specialty. N Engl J Med 2011;365:629-36. Kane C. Policy research perspectives – Medical liability claim frequency: A 2007-2008 snapshot of physicians. Chicago: American Medical Association; 2010. p. 1-7. Wu CY, Lai HJ, Chen RC. Medical malpractice experience of Taiwan: 2005 versus 1991. Intern Med J 2009;39:237-42. Hamasaki T, Hagihara A. Physicians' explanatory behaviours and legal liability in decided medical malpractice litigation cases in Japan. BMC Med Ethics 2011;12:1-10. Studdert DM, Mello MM, Sage WM, DesRoches CM, Peugh J, Zapert K, et al. Defensive medicine among high-risk specialist physicians in a volatile malpractice environment. JAMA 2005;293:2609-17. Burroughs TE, Waterman AD, Gallagher TH, Waterman B, Adams D, Jeffe DB, et al. Patient concerns about medical errors in emergency departments. Acad Emerg Med 2005;12:57-64. Phillips RL Jr., Bartholomew LA, Dovey SM, Fryer GE Jr., Miyoshi TJ, Green LA. Learning from malpractice claims about negligent, adverse events in primary care in the United States. Qual Saf Health Care 2004;13:121-6. Studdert DM, Mello MM, Gawande AA, Gandhi TK, Kachalia A, Yoon C, et al. Claims, errors, and compensation payments in medical malpractice litigation. N Engl J Med 2006;354:2024-33. Ely JW, Graber ML, Croskerry P. Checklists to reduce diagnostic errors. Acad Med 2011;86:307-13. Sibbald M, de Bruin AB, van Merrienboer JJ. Checklists improve experts' diagnostic decisions. Med Educ 2013;47:301-8. Chang L. Clinical forensic medical examination. In: Li L, Hou Y, editors. Forensic Medicine: An English Textbook for Medical Students, Law Students, and Forensic Medical Experts. 1st ed. Beijing: People's Medical Publisher House; 2014. p. 342-54. Chang L, Zhang B, Yan P, Fowler D, Li L. Current medico-legal death investigation system in China. J Forensic Sci 2011;56:930-3.